Scott Moore is detailing his archaeological projects in Second Life over on his blog. Yesterday, he and his colleagues made a presentation to his university trustees about what they are doing, which include a virtual Parthenon, Mayan temple, and a shipwreck. Sounds fantastic, and I can’t wait to come visit! 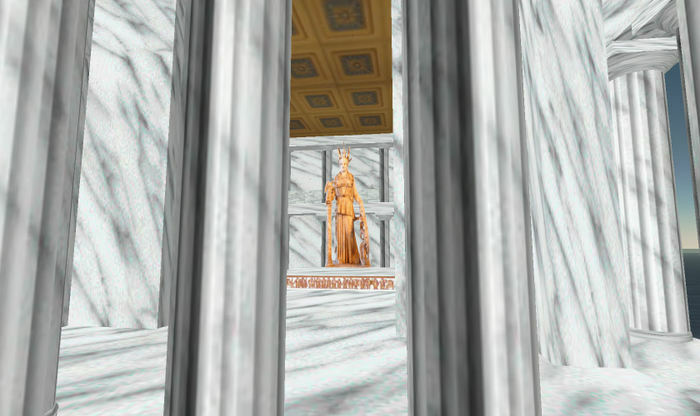 Robert Welch University is also planning a small presence in Second Life, which will be more to bring our distance students together than to do any large-scale simulation, although I’m planning a tetris-style immersive game to help with the Latin teaching.